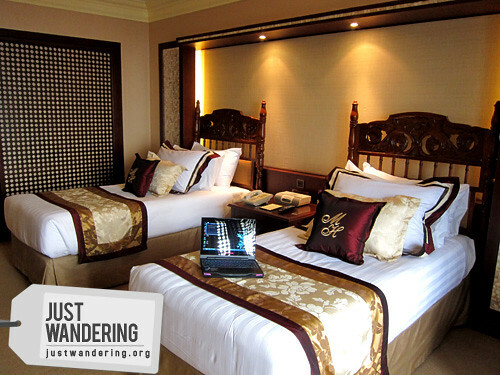 Have you ever been to the Manila Hotel? The first time I stepped inside (that I can remember), was back in December 31, 2010. I knew it was a five-star hotel, but I didn’t really know what to expect. Though not modern as hotels nowadays favor, it was grand and decked out in holiday decorations, it was simply magical. 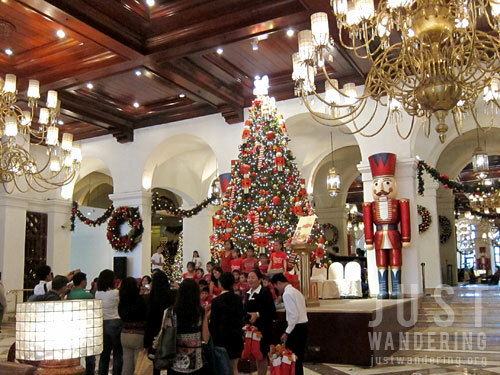 The Manila Hotel brings out the decorations in full force this year with a Nutcracker holiday theme. Towering Nutcrackers stand among the pillars, while festive decors in red, green and gold dot the hotel interiors. A huge Christmas tree is the focal point of the lobby, with twinkling fairy lights, decked with hundreds of ornaments and topped with an angel. Back in 2010, my friends and I were able to snag a great rate for a room for New Year’s Eve. Where better to end the year with a last glimpse of the sun as it sets on Manila Bay and in good company? I’ve been lucky enough to have the opportunity to stay in three, four, and five star hotels. Some lag behind, some really stand out. What stood out for me about the Manila Hotel is its Filipino accents. Maybe I’m just being overly sentimental about the wooden headboards that reminds you of home, the lattice work on the closet doors, or the local crafts that you see around the room. Whatever it is, it does bring on the nostalgia. This December, the Manila Hotel is offering The Nutcracker Package, where for Php 10,500 (per room), you get one night’s stay with breakfast for two, one hour body massage, lunch buffet at Cafe Ilang-Ilang, use of the hotel pool and health club facilities, in-room Internet access, and if you’re bringing your kids, they get a special Nutcracker Gifts. This rate is valid from December 1 through 30, 2012, except for December 24-26, where rates go for Php 12,500, with the same inclusions, but with the addition of a Christmas Eve buffet. For inquiries and reservations, call +632-5270011 local 1178-79 or visit the Manila Hotel website. I have been to many hotels too and one of them is Hotel-Intercontinental Manila at Makati City. 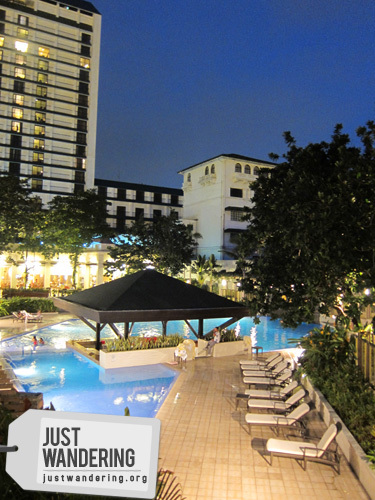 It is a modern hotel and one of the best hotels at Makati. However, I have been wondering what Manila Hotel looks like inside. I only see it from the outside. Thanks to your post I now have an idea of its being uniquely Filipino. It would be my next on my hotel stay wishlist!